It is with immense pleasure that we announce the launch of Pupkewitz Megabuild’s new branch in the beautiful town of Outjo. 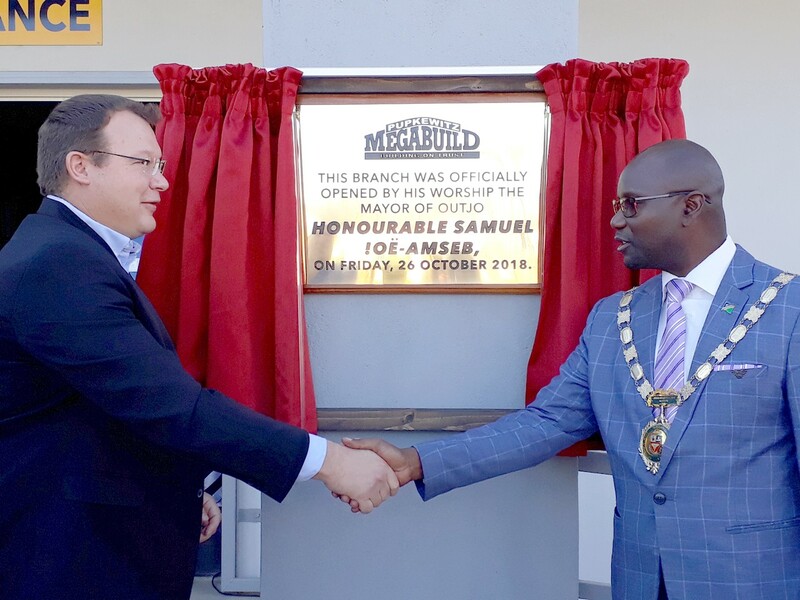 The new branch brings the number of Pupkewitz Megabuild’s total branches to 17, creating a comprehensive footprint in Namibia. Taking our services and products closer to our people remain one of our priority areas as supported by the Pupkewitz Group’s legacy of Customer Satisfaction through Service Excellence. 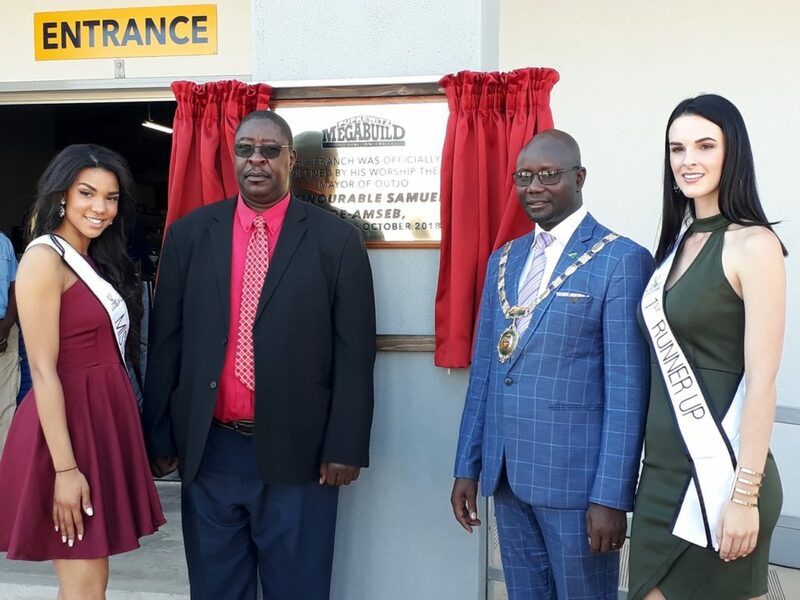 The launch of the new branch will take place on Friday, 26 October 2018, and will be graced by the presence of His Worship the Mayor of Outjo, Honourable Samuel !Oë-Amseb who will deliver a keynote address and officially open the branch. Marcel Lamprecht, Managing Director of Pupkewitz Megabuild remarked, despite difficult economic times the Pupkewitz Group continues to innovate and create opportunities, to further grow the business and deliver value to all our stakeholders. He further commented, investing in our business and growing the Pupkewitz Megabuild footprint remains our priority whilst working closely with the local authorities to assist in creating job opportunities. Pupkewitz Megabuild Outjo features a modern interior design with over 5 000 line items, aimed at offering our customers a choice of quality products as well as the Pupkewitz legendary and trusted expert advice. Furthermore, to enhance customers’ experience the new branch will be offering a delivery service within the town and adjacent towns within the radius of 150 kilometre. As a responsible corporate citizen, the Pupkewitz Group remains truly committed to ensure that we provide the right product at the right price in the right place. In support of our national development goals and living out our number one unifying principle of ‘Commitment to People Development,’ we are continually seeking opportunities to create exciting job opportunities for all Namibians. As a Group, we recognise Outjo Municipality’s vision of becoming a tourism and education hub towards economic growth and social progression. The new branch is situated in Jack Frances Street, and will be open from Mondays to Wednesdays & Fridays, 07:30 – 17:00, Thursdays from 08:00 – 17:00 and on Saturdays from 08:00 – 13:00. Pupkewitz Megabuild, a subsidiary of the Pupkewitz Group, is a one-stop building and hardware material supplier, providing a wide range of high quality products to building contractors and the retail home improvement market.